Buffalo has an incredible wealth of talented homebrewers. Our local breweries and brewers (and especially our amazing hosts at Resurgence) are fantastically generous. 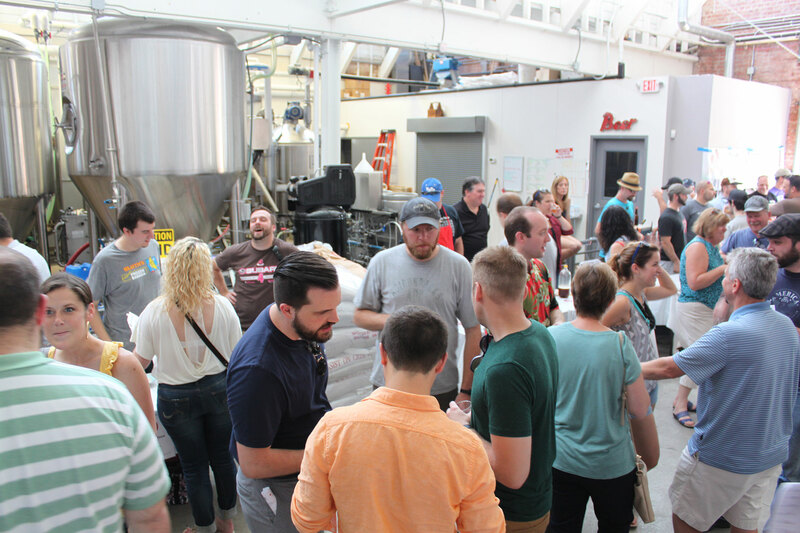 Buffalonians have a passion for good (and new and inventive) beers. All $3,180 raised at the event goes directly to The Leukemia & Lymphoma Society and their mission to cure blood cancers. It’s a cause that’s near and dear to our heart, and we’re so happy to add this to The Dude Hates Cancer’s total of over $500,000 raised since the campaign started in 2006. There are many people to thank for the success of this event, and the list starts with two groups: a legion of talented, generous, and passionate homebrewers, and the unbelievably kind and generous management and staff at Resurgence Brewing Company. This event wouldn’t have been possible without their contributions, and we couldn’t be more grateful for their sacrifices for this cause. We’d also like to thank the celebrity judges that came out to officially judge the entries in this year’s competition. Jeff Ware and Dave Collins of Resurgence, Alex Placito of Old First Ward Brewing, Ethan Cox of Community Beer Works, and Matt Kahn and Corey Catalano of Big Ditch Brewing Co. It’s a veritable pantheon of Buffalo brewers, and we’re so grateful for their time and consideration of the beers on hand. We’d like to thank those that helped organize the event on our behalf. This includes the members of two great homebrew associations in Western New York: Niagara Association of Homebrewers and Sultans of Swig. It also includes Russ Burton, who provided all sound at the event, the amazing management at The Premier Group who provided logistical support including tables, printing, and other considerations, Ellen Notarius, who managed check-in and raffles, and Eric Sliwinski, who helped with setup. And last, but not least, we’d like to thank everyone who came out in support of the event; tasting, donating, and picking their favorite beers. You love beer and hate cancer, and we couldn’t be happier about that. Congratulations to our winners, Devin Carman, Brandon Kapral, and Alex Buckley, whose beer “Do You Like Pina Coladas?” won both the Peoples’ Choice vote and the overall top prize. For their efforts, they’ll get to brew a barrel of their beer at Resurgence! Also, congratulations to Mike Cooke and Dave Gruszka, whose beer “Facial Abuse” was selected Best in Show by our panel of judges. Next → Next post: Calling all homebrewers!